Have you ever felt like you were going insane? Well, it might be because someone was trying to make you feel that way. One of the most common ways abusers keep control of their victims is to have them discredited to the point that they question their own sanity, feel terrible about themselves, and also can’t figure out what the truth is and what isn’t anymore. This tactic is called gaslighting, and it’s named after a 1950s movie that focuses on a man who has managed to trick a woman into thinking she’s going crazy. It’s one of the worst mind games out there, and everyone needs to know about it. If you’ve been finding yourself questioning.. yourself.. and your relationship more frequently these days, you need to read this. 1 Gaslighting Is A Term Used To Describe Emotional Abuse. In particular, it’s emotional abuse that makes you question what really happened, how you really feel about things, and whether you should be angry about actions that your partner may have done. 3 They May Also Change Things Around In Your Home Or Delete Mail. Some abusers will go so far as to disorient people who they’re targeting. This way, you begin to question your own memories - and can’t even find physical proof you left behind. 5 Gaslighting Can Also Extend To Family Members. When an abuser is trying to isolate you from friends and family, they may begin to paint you as crazy. They might tell your friends that you’re trying to hurt yourself, then paint themselves as the noble hero trying to help. They might even tell authorities that you’re suicidal if you’ve left them. This is done so that they can establish control over you. 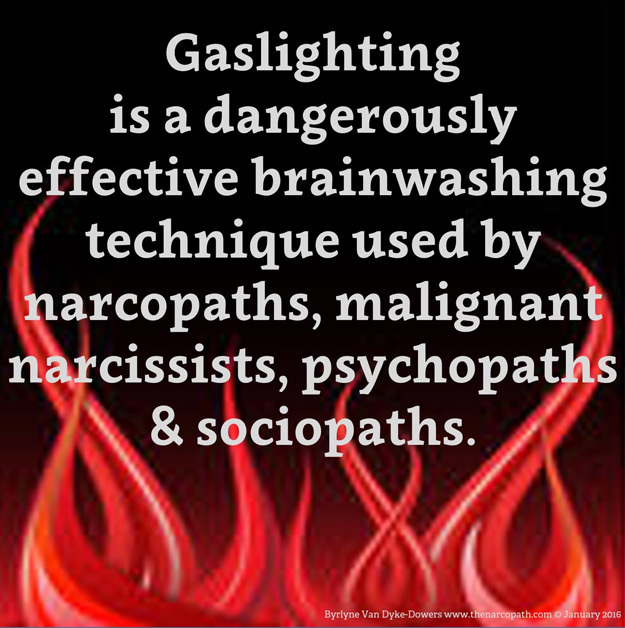 6 Gaslighters Are Also Known To Pick Fights, Just So That They Can Wear Down Their Victims. More often than not, they’ll say that the argument was the victim’s fault, or just contradict whatever the victim said in order to further tire them out. 9 Gaslighting Is Really Hard To Pinpoint. This is because gaslighters often come up with excuses, ways to blame-shift, and ways to distract their victims until they can no longer figure out what they’re arguing about. Victims often remember that they used to be happier, but they can’t remember why they’re so upset. 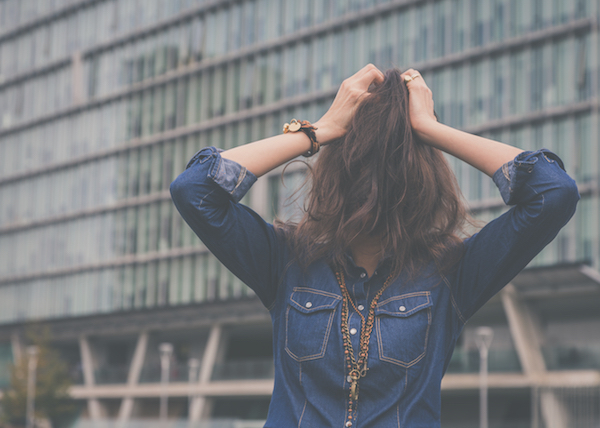 10 People Who Are Gaslit Tend To Question Themselves, Feel Worn Down, And Are Generally Frustrated With Life. Who can blame them? They’re basically being trained to feel that way. They often feel like they can’t win any arguments, and are increasingly resentful of their partners. At the same time, they don’t want to argue - even when they’re forced to argue. 11 They Also Tend To Apologize Frequently. They just learn to assume they’re in the wrong. They may feel that they can’t do anything right. Victims might also lie to keep the peace or they may stop trying to be heard at all. 12 At The Final Stages, They No Longer Can Decide For Themselves And No Longer Know What “Normal” Is Anymore. They now assume they’re crazy, and they can’t remember anything anymore. They rely on the abuser to decide for them. Simply put, they’re too stressed to function properly. 13 For The Gaslighter, It’s About Winning Control At All Costs. And it’s about exerting pain. What you feel doesn’t matter to them. It’s about getting an ego boost or an emotional high from hurting, controlling, and manipulating you. 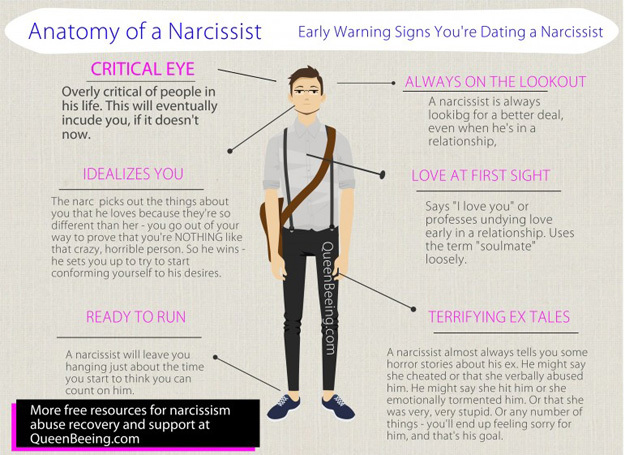 This is why it’s a favorite tool of narcissists, sociopaths, and people who have antisocial disorder. 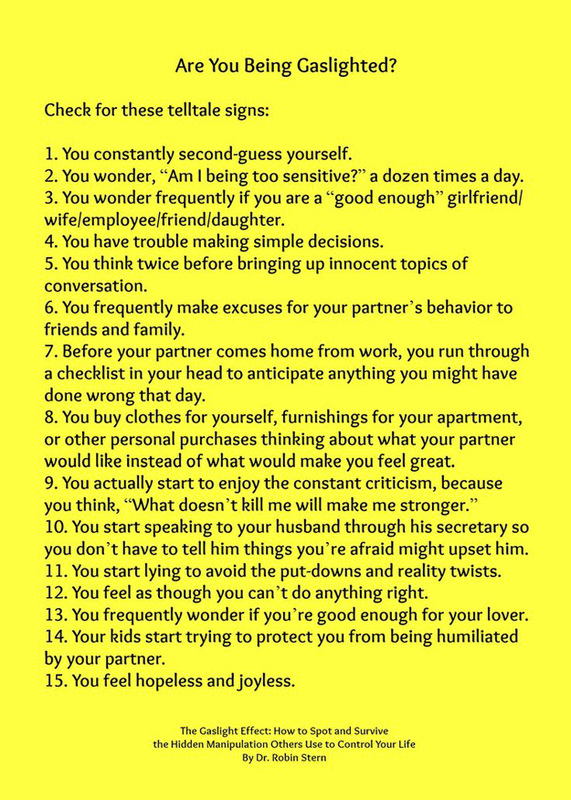 14 If This Sounds Like You, You Need To Leave Your Relationship. Just trust us on this. Domestic violence experts say that the best way to deal with gaslighting is to disentangle yourself as soon as you notice someone doing this to you. Do not engage with the gaslighter. Do not argue with them. Alert friends and family of what they’re doing, too. If possible, ghost on them and make sure the breakup hits them as a surprise. Above all, do not go back to him. He will only escalate the abuse if you do. 15 Being Gaslit Is Not Your Fault. This is often hard to believe when you’re in that situation, but it’s 100% true. 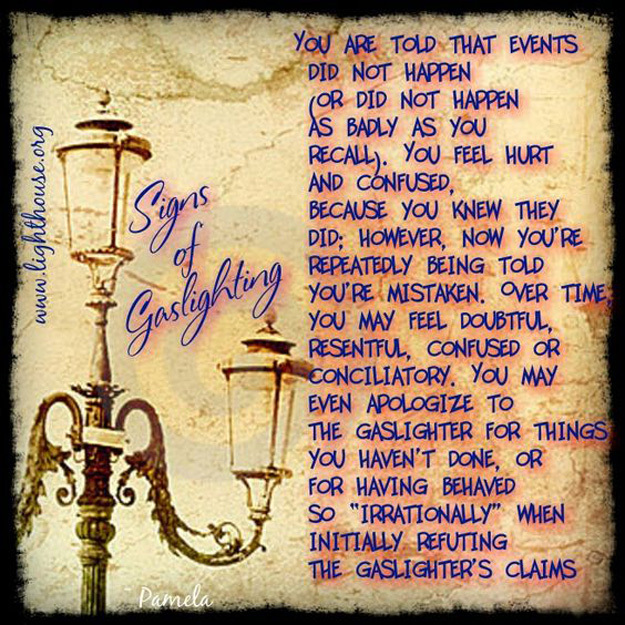 Gaslighting is an abuse tactic, and it’s all the abuser’s fault. It can happen to anyone. The key thing to look for here is to avoid dating people who seem like they’re playing “crazy games” with you in the future.